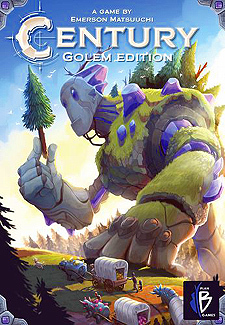 Discover the enchanting beauty of the crystal trade read and its magnificent golems! Wrap your mind around simple and pure game mechanics combined with a touch of a hand-building system that led to endless strategies and decisions. Century: Golem Edition is truly a magical experience and an outstanding game. One you will play over and over and... over again.